Chatrium Hotels & Residences is delighted to announce the appointment of Mr. Doeke Bonga as General Manager of Chatrium Residence Sathon Bangkok, effective immediately. Chatrium Residence Sathon Bangkok is a contemporary oasis in the heart of Thailand’s capital city with 560 rooms. It is one of the flagship luxury Chatrium Hotel & Residence properties offering a remarkable experience to guests in both the business and leisure markets. Mr. Bonga, a Dutch national with a degree in hotel management from Hotelschool The Hague, has been working in Thailand for 15 years and speaks Thai fluently. He is also fluent in multiple other languages, and has worked in the Seychelles and in France. 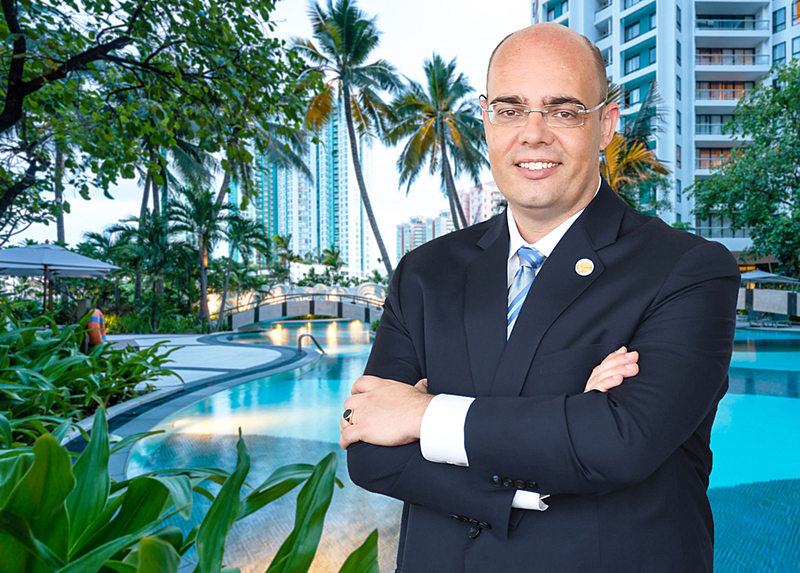 In Thailand, Mr. Bonga presided over the opening of Ramada Khao Lak, renovated the Phuket Pavilions, managed clusters of properties in Phuket and Samui for Imperial Hotels, and opened the Sheraton Samui. His latest position was Cluster General Manager for Impiana Hotels – Thailand. Welcoming Mr. Bonga to the Chatrium family, Khun Savitri Ramyarupa, Managing Director of Chatrium Hotels & Residences, said the company hopes the breadth and depth of his experience will help him drive the team to make every guest Feel the Remarkable at Chatrium Residence Sathon Bangkok. For further information on Chatrium Residence Sathon Bangkok visit www.chatrium.com or Tel +66 (0) 2672 0200.